Facebook is challenging developers across the Middle East and Africa to create innovative bots in the Bots for Messenger Developer Challenge. This aligns with Facebook’s commitment to promote innovation in the Middle East and Africa by providing developers and start-ups with the tools they need to build, grow, monetize, and measure products and services. Facebook grew out of a hacker culture and thrives by promoting innovation on new platforms. That’s why Facebook is launching the Bots for Messenger Challenge, a contest to recognize and reward developers who are able to create the most innovative new bots on Messenger. Developers, in teams of up to three people, are invited to create bots in three categories: gaming and entertainment; productivity and utility; and social good. The 60 finalist teams (10 per category in each region) will win a Gear VR and mobile phone, one hour of Facebook mentorship and tools and services from FbStart (https://Developers.facebook.com/fbstart), a Facebook program designed to help early stage mobile start-ups build and grow their bots. All student teams who make it to the finals will win an additional $2,000 (students will be verified against their registration via their government accredited school email accounts). Enter and see the rules of the competition here: https://MessengerChallenge.splashthat.com and join the Facebook Group to keep connected – https://Fb.me/messengerchallenge. 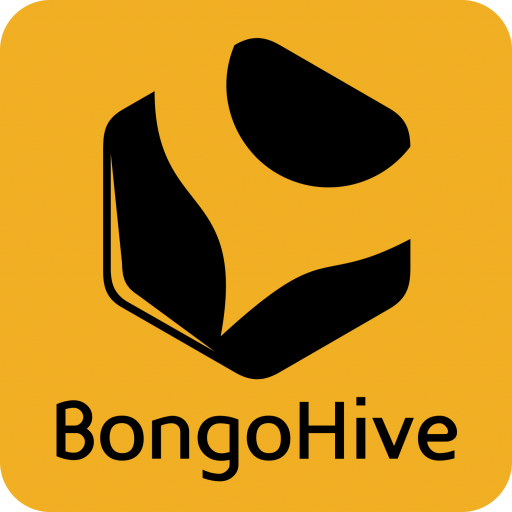 BongoHive, technology and innovation is proud to partner with Facebook and host the first Bots for Messenger Developer Challenge for Zambia on March 18th, 2017. Apply here to take part in the Bots for Messenger Developer event. NO PURCHASE NECESSARY TO ENTER OR WIN A PRIZE IN THIS CONTEST. A PURCHASE WILL NOT INCREASE YOUR CHANCES OF WINNING. VOID WHERE PROHIBITED BY LAW. WINNER MAY BE REQUIRED TO EXECUTE PRIZE ACCEPTANCE DOCUMENTS AND RETURN THEM WITHIN FOUR (4) DAYS FROM DATE OF ISSUANCE OF NOTIFICATION (OR OTHER SPECIFIED TIMEFRAME IN NOTIFICATION) OR PRIZE MAY BE FORFEITED (IN SPONSOR’S SOLE DISCRETION), AS MORE FULLY DETAILED BELOW. INTERNET ACCESS, A VALID FACEBOOK ACCOUNT, A VALID FACEBOOK PAGE, AND A VALID EMAIL ADDRESS ARE REQUIRED. BY ENTERING THIS CONTEST, ENTRANT AGREES TO THESE TERMS AND CONDITIONS (“TERMS”), WHICH ARE A CONTRACT, SO READ THEM CAREFULLY BEFORE ENTERING. WITHOUT LIMITATION, THIS CONTRACT INCLUDES INDEMNITIES TO THE SPONSOR FROM THE ENTRANT (i.e., A REQUIREMENT THAT THE ENTRANT DEFEND AND/OR REIMBURSE SPONSOR FROM/FOR CERTAIN LOSSES) AND A LIMITATION OF ENTRANT’S RIGHTS AND REMEDIES. OVERVIEW: The Bots for Messenger Developer Challenge (“Contest”) is sponsored by Facebook, Inc. (“Sponsor”). This Contest has two stages (all listed times in these Terms are Coordinated Universal Time (“UTC”)): “Open Entry Period”: February 15, 2017 at 9:00:00am UTC April 28, 2017 at 11:59:59pm UTC “Finalist Entry Period”: May 19, 2017 at approximately 3:00:00pm UTC June 2, 2017 at 11:59:59 p.m. UTC The Finalist Entry Period and the Open Entry Period will be referred to collectively as the “Contest Period”. If a minimum of at least one hundred (100) entries of eligible participants have not entered during the Open Entry Period, Sponsor, at its sole discretion, may elect to extend the Open Entry Period by an additional ninety (90) days, which will also extend the Contest Period accordingly (“Extended Contest Period”) and milestone date adjustments will also be implemented. Any Extended Contest Period will be announced at www. https://messengerchallenge.splashthat.com/. To enter, eligible participants must first determine (i) whether they will participate in this Contest as an Individual, a Group, or an Organization, and (ii) whether they are eligible for and will enter as a Student Entrant (each term is defined below). Once determined, the eligible Individual, Group, or Organization may enter the Contest by creating and submitting a Bot Package through the Website (terms as defined in the “How to Enter” section below) during the Open Entry Period. Then, selected and verified Finalists can update and must submit the updated Bot Package during the Finalist Entry Period as more fully described below. Note that Entrants (defined below) must start and finish creating the Bot on the Facebook Messenger Platform during the Contest Open Entry Period. As set forth in more detail below, the Bot Package must include a working Bot that is capable of running on the Facebook Messenger Platform and a Brief (defined below) that describes the Entrant and his, her, or its Bot. The Bot must be created by people in the Entrant’s home region of either (i) the Middle East and North Africa or (ii) Sub-Saharan Africa (each a “Region”) within the Territory under one (1) of the following three (3) categories (collectively, the “Categories”): 2 • Gaming & Entertainment • Productivity & Utility • Social Good To be eligible, the Bot Package must be submitted to Sponsor during the Open Entry Period and in accordance with the procedure described below. Sponsor may, in its sole discretion, change the Category in which a Bot will be judged. Eligible entries received in accordance with these Terms will be evaluated by a panel of Sponsor-selected Judges (defined below) in accordance with the judging procedures detailed under the “Winner Selection” section, below. By entering this Contest, Entrant agrees that (even if Entrant is not a winner) the name of Entrant’s Bot may be publically announced online, including how Entrant’s Bot ranked in the scores given by the Judges (see the “License” section below). PRIZES IN THIS CONTEST WILL BE AWARDED TO THE ENTRANT IDENTIFIED IN THE ENTRY (WHETHER AN INDIVIDUAL, GROUP, OR ORGANIZATION) FOR USE IN THE CONTINUED DEVELOPMENT OR PROVISION OF THE ENTRANT’S WINNING BOT (OR ANY SUCCESSOR BOT ARISING THEREFROM). IF THE ENTRANT IS A GROUP (AS DEFINED IN THESE TERMS), THE PRIZE WILL EITHER – AS DETERMINED BY SPONSOR IN ITS SOLE DISCRETION – BE DIVIDED EQUALLY AMONG ALL IDENTIFIED MEMBERS OF THE GROUP OR BE AWARDED TO A REPRESENTATIVE OF THE GROUP FOR USE BY THE GROUP AS A WHOLE IN THE CONTINUED DEVELOPMENT OR PROVISION OF THE ENTRANT’S WINNING BOT. NO INDIVIDUAL WILL RECEIVE ANY PRIZE FOR HIS OR HER PERSONAL USE AS PART OF THIS CONTEST. ELIGIBILITY: For the purposes of this Contest, the “Territory” means (i) the Middle East and North African Region countries of Algeria, Bahrain, Egypt, Iraq, Jordan, Kuwait, Lebanon, Libya, Morocco, Oman, Palestine, Qatar, Saudi Arabia, Tunisia, United Arab Emirates and Yemen and (ii) the SubSaharan African Region countries of Angola, Benin, Botswana, Burkina Faso, Burundi, Cameroon, Cabo Verde, Central Africa Republic, Chad, Comoros, Republic of the Congo, Democratic Republic of the Congo, Cote d’Ivoire, Equatorial Guinea, Eritrea, Ethiopia, Gabon, Gambia, Ghana, Guinea, GuineaBissau, Kenya, Lesotho, Liberia, Madagascar, Malawi, Mali, Mauritania, Mauritius, Mozambique, Namibia, Niger, Nigeria, Rwanda, Sao Tome and Principe, Senegal, Seychelles, Sierra Leone, Somalia, South Africa, South Sudan, Swaziland, Tanzania, Togo, Uganda, Zambia, and Zimbabwe. Notwithstanding anything to the contrary in the foregoing language, the Territory does not include any country to or on which the United States has embargoed goods or imposed targeted sanctions (including, but not limited to, Iran, Sudan and Syria). For the avoidance of doubt, the Territory also does not include Israel, Turkey, or Malta. This Contest is open only to the following: (a) natural persons who are, as of the date of entry, (i) a legal resident of a jurisdiction within the Territory and (ii) at least eighteen (18) years old and the age of majority in his or her jurisdiction of residence (e.g., country, province, state, prefect, territory, or district) (each and any, an “Individual”); (b) entities and organizations that are, as of the date of entry, legally formed or recognized by a jurisdiction within the Territory and have a principal place of business in the Territory (each and any, an “Organization”); AND (c) an association of two (2) or three (3) individuals that does not constitute a legally-recognized entity, provided that each natural person composing such an association is (i) a legal resident of a jurisdiction within the Territory and (ii) at least eighteen (18) years old and the age of majority in his or her jurisdiction of residence (each and any, a “Group”). 3 (Where distinction is not necessary, any Individual, Organization, or Group that enters or attempts to enter this Contest is referred to in these Terms as an “Entrant.”) Student Entrant: Those Entrants who meet the foregoing eligibility requirements and: (i) are or are solely comprised of full-time or part-time students at a government accredited school or educational institution (either one (1) student for an Individual Entrant or each and every member is a student of a Group); and (ii) who indicate their eligibility as students on the submission form and provide an email addresses with an official school domain at the time of entry (including each member of a Group). Employees, officers, directors, members, managers, agents, and representatives of Sponsor and any other entities participating in the design, promotion, marketing, administration, or fulfillment of this Contest, or any of their respective corporate partners, parent companies, divisions, subsidiaries, affiliates, successors in interest, and advertising, promotion, and public relations agencies, judges and their employers, employees, managers, agents and representatives (collectively, the “Released Parties”) and any family member or member of the same household (whether or not related) of any such persons are not eligible to enter or win a prize in this Contest. For purposes of this Contest, the term “family members” is defined as any spouse, partner, parent, legal guardian, child, sibling, grandparent, grandchild, or in-law. Participation in this Contest constitutes Entrant’s full and unconditional agreement to and acceptance of these Terms and the decisions of Sponsor, which are final and binding in all matters. HOW TO ENTER: This is a two-stage Contest. To enter the first stage, eligible Entrants must prepare and submit a “Bot Package” to Sponsor during the Open Entry Period through the website located at https://messengerchallenge.splashthat.com (“Website”), follow the Website’s on-screen instructions, and supply all required information (“Brief”), which must include, without limitation: • A working version of the Bot; • The Bot’s name and a short overview of the Bot and its function; • A URL and Bot Facebook App ID; • A summary of the goals of the Bot, which must be fewer than 200 words (“Summary”); • The Category for the Bot: Gaming & Entertainment, Productivity & Utility, or Social Good; • Entrant’s home country/jurisdiction and Region of either (i) the Middle East and North Africa or (ii) Sub-Saharan Africa; • Include a short explanation of the Entrant’s roll-out plans for the Bot including the launch date; and • Specify whether the Entrant is an Individual, Group, or Organization: o If you are entering as an Individual, you will be required to: ▪ Provide a summary of your background. ▪ Provide your full legal name, complete mailing address, email address, and phone number (including country and area code). o If the Entrant is a Group or Organization, you will be required to: ▪ Identify each member of the Group or Organization by name and email address; and provide a short summary of his or her background and involvement in the Group/Organization. For an Organization, this may be limited to those personnel directly involved in the design or development of the Bot. ▪ Provide the full legal name of the Organization or the name of your Group, and the Group or Organization’s address and primary phone number (including country and area code); and 4 ▪ Provide the name of a contact person at the Group/Organization and his or her email address and phone number (including country and area code). Entrants may also submit an online video to supplement their Brief of less than two (2) minutes in length, a link to which must be provided. The online video may only be submitted via a link and must comply with all third party terms and conditions that apply to the site or platform on which it resides. An Entrant’s Bot Package (described and defined above), and any other text, video, images, code, software, or other content that an Entrant submits to Sponsor as part of this Contest, regardless of whether submitted during the initial Open Entry Period or as a Finalist during the Finalist Entry Period, are referred to collectively as the Entrant’s “Entrant Content”. All Entrant Content submitted in this Contest must comply fully with the “Submission Requirements” section of these Terms below. The Bot Package and related content and information submitted through the Website in accordance with these Terms, all instructions on the Website, and instructions of Sponsor, and actually received by Sponsor, the Bot Package and submission are referred to in these terms as an “Entry.” All eligible Entries received during the Open Entry Period will be judged as more fully detailed in the “Winner Selection” section. Those Entrants who are selected and verified as Finalists may improve, change, and/or adapt their respective Bots and resubmit the updated Bot Package during the Finalist Entry Period to move forward in the Contest, as more fully described below. Only one (1) Entry per Individual, Organization and/or Group in this Contest. An individual person cannot be a member of more than one Group. Entries must be submitted and received by Sponsor during the Open Entry Period and in strict accordance with these Terms. The database clock for the Website will be the official timekeeper for this Contest. For purposes of this Contest, only complete Entries that are actually received by Sponsor through the Website and during the Open Entry Period (and for Finalist Entries, during the Finalist Entry Period) will be considered. Other proof of submitting or attempting to submit an Entry (such as, without limitation, a printed, saved or copied automated receipt confirming entry, a “Thanks for submitting” screen or message) does not constitute proof of actual receipt of the Entry for purposes of this Contest. Those who do not abide by these Terms and the instructions of Sponsor and provide all required Entrant Content may, in Sponsor’s sole discretion, be disqualified. Entries or participation may not be acknowledged and will not be returned. Entries (or participation that does not qualify as an “Entry”) that are incomplete, lost, late, misdirected, mutilated, fraudulent, illegitimate, incomprehensible, garbled, or generated by a macro, bot, or other automated means will not be accepted and will be void. Entries or participation made on behalf of an Entrant by a third party not affiliated or associated with that Entrant (as determined by Sponsor in its sole discretion) or originating through any commercial promotion subscription, notification, or entering services will be declared invalid and disqualified for this Contest. No Released Party will have any responsibility or liability for any dispute regarding any Entrant, including the identity of any Individual Entrant, the composition or members of a Group or Organization Entrant, or the distribution of any prize won among members of a Group or Organization Entrant. In the event that any dispute regarding an Entry or Entrant (including those regarding the identity or members of an Entrant Group/Organization or any Entrant’s rights in a Bot) cannot be resolved to Sponsor’s satisfaction, the Entry will be deemed ineligible and the Entrant disqualified. As a condition of entering the Contest, without limiting any other provision in these Terms, each Entrant gives consent for Sponsor and its agents to obtain and deliver his/her/its name, address and other information and Entry to third parties for the purpose of administering this Contest and complying with applicable laws, regulations, and rules. ENTRIES MAY NOT BE ACKNOWLEDGED, WILL NOT BE RETURNED AND, IN FACT, MAY BE DESTROYED. KEEP A COPY OR THE ORIGINAL OF EACH ELEMENT OF THE ENTRY. ANY ENTRY THAT DOES NOT CONFORM TO THE 5 REQUIREMENTS IN THESE TERMS MAY, IN SPONSOR’S SOLE DISCRETION, BE DEEMED INELIGIBLE. SUBMISSION REQUIREMENTS: Entrant Content must meet all of the following requirements, as determined by Sponsor in its sole discretion, or the associated Entry may be disqualified: • Entrants must start and complete creating the Bot during the Open Entry Period. The Entrant’s Bot must be entirely original and new idea of Entrant and cannot be based in any way on a pre-existing bot. • The Bot must be created on the Facebook Messenger Platform (but entrant may use any third-party tool to create or add functionality). Bots on any other platform will not be accepted. • Each Entrant must comply with all Facebook for developers Messenger Platform developer guidelines and rules (see https://developers.facebook.com/docs/messenger-platform), including without limitation Guidelines, Policies and Review (https://developers.facebook.com/docs/messenger-platform/guidelinespolicyreview), and use the Messenger Platform API. • All aspects of the Entrant Content must be solely owned by or licensed to the Entrant or in the public domain. All third-party content not owned by or licensed to the Entrant is prohibited, unless such content is in the public domain. Sponsor may request written proof of ownership of or adequate license to Entrant of any Entrant Content. Failure to timely provide adequate proof of ownership or sufficient license rights in any content included in the Entrant Content (as determined by Sponsor in its sole discretion) may result in the Entrant being disqualified and all Entries deemed void. • All Entrant Content – aside from the Bot itself – must be entirely in the English language. The Bot may be in any language (or any combination of languages). • The Summary must be no longer than two hundred (200) words in total. • If Entrant elects to submit an additional, optional video to supplement the Brief, the video must be no longer than two (2) minutes in duration. Any video submitted must be posted online to a video-sharing service or other online service that allows it to be viewed by Sponsor without the need to download the video. If any part of an Entrant’s Entrant Content depicts, identifies, or includes any person that is not Entrant him- or herself or, for a Group or Organization Entrant, a member of the Group/Organization, Entrant must have all permissions and rights from the individual depicted, identified, or included (and, if such individual is a minor, his/her parent or legal guardian) and agrees to provide Sponsor with written confirmation of those permissions and rights upon request. • Entrant Content must not create or imply any association between Sponsor and any individual or entity or his, her, or its products or services, including the Entrant. Entrant Content must not contain any recognizable third-party trademarks (including logos), trade dress, or other brand elements. • Entrant Content must not infringe, misappropriate, or violate any rights of any third party including, without limitation, copyright (including moral rights), trademark, trade secret, or rights of privacy or publicity. • Entrant Content must not include information or content that is false, fraudulent, deceptive, misleading, defamatory, libelous (including trade libel), disparaging, harassing, threatening, profane, obscene, pornographic or otherwise adult-oriented, hateful, indecent, inappropriate, or injurious to any Released Party or any other party. 6 • Entrant Content must not contain or describe any harmful or illegal activity or content or in any way violate any federal, state, or local laws, rules, or regulations. • Entrant Content must be suitable for presentation in a public forum. • Entrant agrees that his, her, or its participation in the Contest and agreement to these Terms and any Released Party’s reproduction, display, and use of the Entrant Content in accordance with these Terms will not violate any agreement to which Entrant is a signatory or party. • Entrant agrees to indemnify the Released Parties against any and all claims from any third party for any use or reuse by any Released Party of the Entrant Content authorized under these Terms. Sponsor reserves the right in its sole discretion to disqualify from the Contest any Entrant whose Entry (in its sole discretion) refers, depicts, or in any way reflects negatively upon a Released Party, the Contest, or any other person or entity or does not comply with these Terms, including any of the above Submission Requirements. WINNER SELECTION/NOTIFICATION: Eligible Entries will be judged by a panel of judges chosen by Sponsor in its sole discretion (the “Judges”) as they are submitted during the Open Entry Period and ending on or about May 12, 2017. All eligible Entries will be evaluated under the following criteria according to the percentage weights indicated (the “Criteria”): • Technical Quality – How well does the Bot use the Messenger platform features? [35%] • Non-Technical Quality- What is the degree of excellence of the Bot, taking into account the Bot’s distinctive attributes and characteristics (except for the technical aspects)? [35%] • User Experience – How useable is the Bot for the intended audience, including how well the conversation flows? [30%] Sponsor reserves the right to contact Entrants for verification purposes and administration of the Contest. All Judges’ decisions are final and binding in all matters relating to this Contest. Each Entrant acknowledges that other Entrants may have created ideas and concepts contained in their Entry that may have familiarities or similarities to his/her/its Entry (including, without limitation, a similar Bot), and that he/she/it will not be entitled to any compensation or right to negotiate with the Released Parties because of these familiarities or similarities. Selection of Finalist Entries: The ten (10) eligible entries with the highest scores for each of the three (3) Categories for each of the two (2) Regions will be deemed “Finalists Entries” for a total of sixty (60) Finalist Entries. Each of the Finalist Entries will advance to Finalist Judging Phase as defined and described below (unless there are fewer than ten (10) Entries per Category for any of the two (2) Regions, in which case all Entries for that Category will move on to the Finalist Judging Phase). In the event of a tie in the selection of the tenth highest score, the tie will be resolved in favor of the Entry with the higher score on the “Non-Technical Quality” Criterion. If there is still a tie, the tie will be resolved in favor of the Entry with the higher score on the “Technical Quality” Criterion. Sponsor or its designee will attempt to notify the potential Finalist Entry winners on or around May 12, 2017, by email or other means (as determined by Sponsor in its sole discretion). The Finalist Entry Period and Judging Phase: Each of the Entrants with the sixty (60) Finalist Entries (each Individual, Group, or Organization is a “Finalist” and collectively they are “Finalists”) will receive the Finalist Entry Prize as defined and described in the “Prizes, Quantity and Approximate Retail Value” section below. The Finalists may use the Gear, Mentoring and FbStart Bootstrap to improve, change, 7 and/or adapt their respective Bots and resubmit the Bot in accordance with Sponsor’s instructions on the Website during the Finalist Entry Period. All Finalist Entries will be judged by the same panel of Judges, in accordance with the same Criteria and percentage weights indicated above. If a Judge is unwilling or unable to participate in the Finalist Judging Phase then Sponsor will replace such Judge with a new Judge of Sponsor’s choosing, or (in Sponsor’s sole discretion) proceed with fewer Judges. The Finalist Entry for each of the two (2) Regions in each of the three (3) Categories with the second highest score will win the Runner Up Prize (as defined below) for a total of six (6) Runner Up Prize winners, and the highest score for each of the two (2) Regions in each of the three (3) Categories will win the Grand Prize (as defined below) for a total of six (6) Grand Prize winners. Any ties will be settled in accordance with the same procedures as the selection of Finalist Entries. Sponsor or its designee will attempt to notify the potential Runner Up Prize and Grand Prize winners on or around June 12, 2017, by email or other means (as determined by Sponsor in its sole discretion). Each potential individual winner, all natural people who are members of a winning Group, and all representatives of a winning Organization (as determined and requested in Sponsor’s sole discretion) may be required to complete, execute, have notarized (if applicable), and return an Affidavit/Declaration of Eligibility and Liability/Publicity Release (unless prohibited by law), tax documents, and related prizeacceptance documents (collectively, “Winner Documents”) within the time frame specified and in the form provided by Sponsor, without revision, or prize may be forfeited. If any individual Entrant, individual member of a Group, or representative of an Organization refuses to comply with the foregoing requirements and other requirements of Sponsor, his/her/its Entry may be disqualified at any time in Sponsor’s sole discretion with no liability or responsibility to the respective Entrant or any individual within that Entrant, even if other Group members or Organization representatives have complied with the requirements. The Winner Documents, if applicable, must be received by Sponsor from the potential winner within four (4) days of Sponsor sending the documents to the potential winner (or other time frame as stated in the Winner Documents) or prize may be forfeited and an alternate winner selected. If any notification or other Contest-related communication is returned as undeliverable, or if a selected potential winner cannot be reached or does not respond as instructed after Sponsor has attempted to notify that potential winner, that selected winner may be disqualified and an alternate winner may be selected (time permitting and in Sponsor’s sole discretion). Sponsor reserves the right to modify the notification procedures in connection with the selection of any alternate potential winner, if any. The prize claim and Winner Documents are subject to verification by Sponsor. The prizes, if legitimately claimed, will be awarded. In the event there are less than ten (10) eligible Entries received during the Open Entry Period for each of the three (3) Categories for each of the two (2) Regions, Sponsor reserves the right to award fewer Finalist Entry prizes in accordance with the number of eligible Entries actually received. Sponsor will not be obligated to pursue more than one (1) alternate winner (time permitting) for any prize for any reason, provided that Sponsor will have no obligation to pursue alternate winners should no eligible Entries remain for a given Category for a Region. PRIZES, QUANTITY AND APPROXIMATE RETAIL VALUE (“ARV”): Finalist Prizes: Subject to verification, ten (10) Finalists of each of the three (3) Categories for each of the two (2) Regions for a total of sixty (60) Finalists will each receive the following per Entrant (“Finalist Entry Prize”): • Samsung Gear VR and a compatible phone (“Gear”), with an ARV of six hundred U.S. dollars ($600 USD); • One (1) hour of virtual or phone meetings with a Facebook software engineer mentor of Sponsor’s choosing to provide mentoring and guidance on Entrant’s Bot (“Mentoring”), with an ARV of one hundred U.S. dollars ($100 USD); and 8 • A package of tools and services from Facebook’s FbStart program Bootstrap track (https://developers.facebook.com/fbstart/tracks/bootstrap) with an ARV of forty thousand U.S. dollars ($40,000 USD) (“FbStart Bootstrap”). The total ARV for each Finalist Entry Prize is forty thousand seven hundred U.S. dollars ($40,700 USD) for a total ARV for all Finalist Entry Prizes of two million four hundred forty-two thousand U.S. dollars ($2,442,000 USD). Student Prizes: Subject to verification, all Finalists that are also a Student Entrant (as defined and described in the Eligibility section above), will aeach receive the following in addition to the Finalist Entry Prize (“Student Prize”): two thousand U.S. dollars ($2,000 USD) provided in a form determined by Sponsor in its sole discretion. The Student Prizes will be awarded after the end of the Contest Period. For the avoidance of doubt, for any Group Entrant Finalist that is also a Student Entrant, that Group Entrant will receive two thousand U.S. dollars ($2,000 USD) total and each member of the Group Entrant will not receive the Student Prize. Organizations are not eligible for a Student Prize. Runner Up Prizes: Subject to verification, one (1) Finalist Entry for each of the three (3) Categories in each of the two (2) regions with the second highest scores as described in the Finalist Judging Phase for a total of six (6) Entries will each receive the following (“Runner Up Prize”): (i) ten thousand U.S. dollars ($10,000 USD) provided in a form determined by Sponsor in its sole discretion and (ii) a mentorship with a Facebook software engineer of Sponsor’s choosing to provide mentoring and guidance on Entrant’s Bot that will last for a three (3) month period with one (1) virtual or phone meeting per month (each month for about an hour long) with a total ARV of three hundred U.S. dollars ($300 USD). The total ARV for each of the Runner Up Prizes is ten thousand three hundred U.S. dollars ($10,300 USD) and the total ARV for all of the Runner Up Prizes is sixty one thousand eight hundred U.S. dollars ($61,800 USD). Grand Prizes: Subject to verification, one (1) Finalist Entry for each of the three (3) Categories in each of the two (2) Regions with the highest scores as described in the Finalist Judging Phase for a total of six (6) Entries will each receive the following (“Grand Prize”): (i) twenty thousand U.S. dollars ($20,000 USD) provided in a form determined by Sponsor in its sole discretion and (ii) a mentorship with a Facebook software engineer of Sponsor’s choosing to provide mentoring and guidance on Entrant’s Bot that will last for a three (3) month period with one (1) virtual or phone meeting per month (each month for about an hour long) with a total ARV of three hundred U.S. dollars ($300). The total ARV for each of the Grand Prizes is twenty thousand three hundred U.S. dollars ($20,300 USD) and the total ARV for all of the Grand Prizes is one hundred twenty one thousand eight hundred U.S. dollars ($121,800 USD). The total ARV is two million six hundred and twenty-five thousand six hundred U.S. dollars ($2,625,600 USD) plus Student Prizes, if any, which may be up to one hundred twenty thousand U.S. dollars ($120,000 USD) for a total ARV for this Contest of up to two million seven hundred forty-five thousand six hundred U.S. dollars ($2,745,600 USD). PRIZES IN THIS CONTEST WILL BE AWARDED TO THE ENTRANT IDENTIFIED IN THE ENTRY FOR THE PURPOSES OF CONTINUED DEVELOPMENT OR PROVISION OF THE ENTRANT’S WINNING BOT (OR ANY SUCCESSOR BOT ARISING THEREFROM). IF THE ENTRANT IS A GROUP, THE PRIZE WILL EITHER – AS DETERMINED BY SPONSOR IN ITS SOLE DISCRETION – BE DIVIDED EQUALLY AMONG ALL IDENTIFIED MEMBERS OF THE GROUP OR BE AWARDED TO A REPRESENTATIVE OF THE GROUP FOR USE BY THE GROUP AS A WHOLE IN THE CONTINUED DEVELOPMENT OR PROVISION OF THE GROUP’S WINNING BOT. NO INDIVIDUAL WILL RECEIVE AS PART OF THIS CONTEST ANY PRIZE FOR HIS OR HER PERSONAL USE, AND PRIZE RECIPIENTS AND 9 INDIVIDUALS ARE PROHIBITED FROM USING ANY PRIZE OR PORTION THEREOF FOR HIS OR HER PERSONAL USE OR ANY USE UNRELATED TO THE APPLICABLE ENTRANT’S WINNING BOT. Sponsor may, at any time within five (5) years of award of the prize, request that any winning Entrant provide it with reasonable documentation evidencing Entrant’s use of the prize money in accordance with these restrictions. If any Entrant fails to provide requested documentation within a reasonable time or if Sponsor determines that any winner has used some or all of the prize money for purposes other than the continued development or provision of its winning Bot (or any successor Bot arising therefrom) (all as determined by Sponsor in its sole discretion), then Entrant will promptly return to Sponsor the full value of any prize awarded to it upon demand by Sponsor. Sponsor is not responsible for any inability or unwillingness of any winning Entrant to accept or use the prize (or portion thereof) for any reason. Prize elements delivered by mail will only be mailed to the winning Entrant’s address within the Territory. Prize details not specifically stated in these Terms, including the form or method of any payment, will be determined in Sponsor’s sole discretion. All taxes (including, without limitation, national, federal, state, provincial, territorial, prefectural, and/or local taxes), as well as any expenses arising from acceptance or use of the prize and not specified in these Terms as being provided as part of the prize, are the sole responsibility of the winner. Sponsor is not responsible for and will not replace any lost, mutilated or stolen prize or prize element or any prize that is undeliverable or does not reach a winner because of incorrect or changed contact or bank routing information. If a winner does not accept or use the entire prize for any reason, the unaccepted or unused part of the prize will be forfeited and Sponsor will have no further obligation with respect to that prize or portion of the prize. No transfers, prize substitutions, or cash redemptions will be made, except at Sponsor’s sole discretion. Sponsor reserves the right to substitute any stated prize or any component thereof with another prize or component of equal or greater value for any reason. No more than the stated prizes will be awarded. Entrants waive the right to assert as a cost of winning any prize, any and all costs of verification and redemption and any liability and publicity which might arise from claiming or seeking to claim said prize. LICENSE: By entering, except where prohibited by law, each Entrant grants to the Released Parties (and their agents, successors, and assigns) the irrevocable, transferable, sublicensable, absolute right and permission to use, edit, modify, copy, reproduce, and distribute the Bot Package (including the Bot and the Bot name) and any other Entrant Content that comprises the Entrant’s Entry in perpetuity and in any medium (including online and in digital media) in any language, throughout the world, for the purposes of evaluating Entries, and administering and marketing this Contest, including (i) announcing and publicizing the name of each and every Bot submitted and its ranking in accordance with the Judges’ scores and (ii) selecting, announcing, and publicizing each winner and its Bot. For the avoidance of doubt, Entrant retains all ownership rights in the Bot; Released Parties do not have the right to sell your Bot. Each Entrant further grants to the Released Parties (and their agents, successors, and assigns) a non-exclusive, irrevocable, worldwide, transferable and sublicensable right and license to use his, her, or its (and his/her/its Bot’s) trade names and trademarks (including logos) in connection with this Contest, including for the purposes of announcing and publicizing the Entrant’s ranking (even if not a winner), and whether the Entrant is a winner. Each entrant hereby acknowledges and agrees that the relationship between the Entrant and each of the Released Parties is not a confidential, fiduciary, or other special relationship, and that the Entrant’s decision to submit his/her/its Entry for purposes of the Contest does not place any of the Released Parties 10 in a position that is any different from the position held by members of the general public with regard to elements of the Entry (including, without limitation, the Bot Package), other than as set forth in these Terms. Each Entrant understands and acknowledges that the Released Parties have wide access to ideas, text, images, code, applications, software, and other creative materials. Each Entrant also acknowledges that many ideas for applications and online services may be competitive with, similar to, or identical to its Bot and/or each other in idea, function, components, format, or other respects. Each Entrant acknowledges and agrees that such Entrant will not be entitled to any compensation as a result of any Released Party’s use of any such similar or identical material that has or may come to such Released Party from other sources. Each Entrant acknowledges and agrees that Sponsor does not now and will not have in the future any duty or liability (direct or indirect; vicarious, contributory, or otherwise) with respect to the infringement or protection of the Entrant’s patent, copyright or other proprietary rights in and to his/her/its Entry, including the Bot contained or described therein. Each Entrant acknowledges that, with respect to any claim by Entrant relating to or arising out of a Released Party’s actual or alleged exploitation or use of any Entry or other material submitted in connection with the Contest, the damage, if any, thereby caused to the applicable Entrant will not be irreparable or otherwise sufficient to entitle such Entrant to seek injunctive or other equitable relief or in any way enjoin the production, distribution, exhibition, or other exploitation of any Released Party bot, application, service or other property, and Entrant’s rights and remedies in any such event are strictly limited to the right to recover damages, if any, in an action at law. LIMITATION OF LIABILITY & DISCLAIMER OF WARRANTIES: NOTHING IN THESE TERMS LIMITS, EXCLUDES, OR MODIFIES OR PURPORTS TO LIMIT, EXCLUDE, OR MODIFY ANY STATUTORY CONSUMER GUARANTEE OR ANY IMPLIED CONDITION OR WARRANTY, THE EXCLUSION OF WHICH FROM THESE TERMS WOULD CONTRAVENE ANY STATUTE OR CAUSE ANY PART OF THESE TERMS TO BE VOID (“NON-EXCLUDABLE GUARANTEES”). SUBJECT TO THE LIMITATIONS IN THE PRECEDING SENTENCE AND TO THE MAXIMUM EXTENT PERMITTED BY ANY MANDATORY PROVISIONS OF APPLICABLE LAW, THE RELEASED PARTIES EXCLUDE FROM THESE TERMS ALL CONDITIONS, WARRANTIES, AND TERMS IMPLIED BY STATUTE, GENERAL LAW, OR CUSTOM, EXCEPT FOR LIABILITY IN RELATION TO A NON-EXCLUDABLE GUARANTEE. SUBJECT TO ANY NON-EXCLUDABLE GUARANTEES, EACH ENTRANT AGREES TO RELEASE, HOLD HARMLESS, AND INDEMNIFY (I.E., DEFEND AND/OR REIMBURSE) THE RELEASED PARTIES FROM ANY LIABILITY WHATSOEVER FOR INJURIES OR DAMAGES OF ANY KIND SUSTAINED IN CONNECTION WITH THE USE, ACCEPTANCE, POSSESSION, MISUSE, OR AWARDING OF A PRIZE OR WHILE PREPARING FOR, PARTICIPATING IN, AND/OR TRAVELING TO OR FROM ANY CONTEST- OR PRIZE-RELATED ACTIVITY, INCLUDING, WITHOUT LIMITATION, ANY INJURY, DAMAGE, DEATH, LOSS, OR ACCIDENT TO PERSON OR PROPERTY (HOWEVER (BUT ONLY IF REQUIRED BY LAW IN YOUR JURISDICTION), THIS RELEASE, HOLD HARMLESS, AND INDEMNIFICATION COMMITMENT DOES NOT APPLY TO CASES OF BODILY INJURY OR LOSS OF LIFE OR TO THE EXTENT THAT ANY DEATH OR PERSONAL INJURY IS CAUSED BY THE NEGLIGENCE OF SPONSOR OR OTHER THIRD PARTY, WHERE LIABILITY TO THE INJURED PARTY CANNOT BE EXCLUDED BY LAW). EACH WINNER AGREES THAT THE PRIZE IS PROVIDED AS-IS WITHOUT ANY WARRANTY, REPRESENTATION, OR GUARANTEE (EXPRESS OR IMPLIED, IN FACT OR IN LAW), WHETHER NOW KNOWN OR HEREINAFTER ENACTED, RELATIVE TO THE USE OR ENJOYMENT OF THE PRIZE, BEYOND ANY NON-EXCLUDABLE GUARANTEES. 11 ADDITIONAL DISCLAIMERS: The Released Parties are not responsible and/or liable for any of the following, whether caused by a Released Party, the Entrant (or a member of any Entrant Group or Organization), or by human error (except to the extent that any of the following occur for reasons within Sponsor’s reasonable control, if applicable law in your jurisdiction of residence dictates that liability to the injured party in such a case cannot be excluded by law): Entries made by illegitimate means (such as, without limitation, by an automated computer program); any lost, late, postage-due, incomplete, illegible, incomprehensible, mutilated, or misdirected email, mail, Messenger message, or Contest-related correspondence or materials; any error, omission, interruption, defect, or delay in transmission or communication; viruses or technical or mechanical malfunctions; interrupted or unavailable telephonic, cellular, cable, or satellite systems; errors, typos or misprints in these Terms, in any Contest-related advertisements, or other materials; failures of electronic equipment, computer hardware, or software; lost or unavailable network connections or any failed, incorrect, incomplete, inaccurate, garbled or delayed electronic communications; technical or human error which may occur in the administration of the Contest or the processing of Entries; or any injury or damage to persons or property which may be caused, directly or indirectly, in whole or in part, from Entrant’s participation in the Contest or receipt or use of any prize. Released Parties are not responsible for electronic communications that are undeliverable as a result of any form of active or passive filtering of any kind, or for insufficient space in a person’s email account, voicemail inbox or Messenger message account, to receive, email, voice messages or Messenger messages. Released Parties are not responsible, and may disqualify an Entrant, if any contact information provided by the Entrant does not work or is changed without giving prior written notice to Sponsor. Without limiting any other provision in these Terms, the Released Parties are not responsible or liable to any Entrant or winner (or any person claiming through such Entrant or winner) for failure to supply a prize or any part thereof in the event that any of the Contest activities or Released Parties’ operations or activities are affected by any cause or event beyond the sole and reasonable control of the applicable Released Party (as determined by Sponsor in its sole discretion), including, without limitation, by reason of any acts of God, equipment failure, threatened or actual terrorist acts, air raid, act of public enemy, war (declared or undeclared), civil disturbance, insurrection, riot, epidemic, fire, explosion, earthquake, flood, hurricane, unusually severe weather, blackout, embargo, labor dispute or strike (whether legal or illegal), labor or material shortage, transportation interruption of any kind, work slowdown, any law, rule, regulation, action, order, or request adopted, taken, or made by any governmental or quasi-governmental entity (whether or not such governmental act proves to be invalid), or any other cause, whether or not specifically mentioned above. GENERAL RULES: By entering this Contest (except where prohibited by law), each natural person agreeing to these Terms as part of a Bot Package (as the Entrant or on behalf of an Entrant Group or Organization) grants the Released Parties the irrevocable, sublicensable, free-of-charge, absolute right and permission to use, publish, post or display his or her name, photograph, likeness, voice, biographical information, any quotes attributable to him or her, and any other indicia of persona (regardless of whether altered, changed, modified, edited, used alone, or used with other material in the Released Parties’ sole discretion) for advertising, trade, promotional and publicity purposes without further obligation or compensation of any kind to him or her, anywhere worldwide, in any medium now known or hereafter discovered or devised (including, without limitation, on the Internet) without any limitation of time and without notice, review or approval, and each such person releases all Released Parties from any and all liability related to such authorized uses. Nothing contained in these Terms obligates Sponsor to make use of any of the rights granted herein and each natural person granting publicity rights under this provision waives any right to inspect or approve any such use. 12 Sponsor’s decisions will be final in all matters relating to this Contest, including interpretation of these Terms, selection of the winners, and awarding of the prizes. All Entrants, as a condition of entry, agree to be bound by these Terms and the decisions of Sponsor. Failure to comply with these Terms may result in disqualification from the Contest. Entrants further agree to not damage or cause interruption of the Contest and/or prevent others from participating in the Contest. Sponsor reserves the right to restrict or void participation from any Facebook account, IP address, email address or domain, or device if any suspicious Entry and/or participation is detected. Sponsor reserves the right, in its sole discretion, to void Entries or other participation by any person or entity who Sponsor believes has attempted to tamper with or impair the administration, security, fairness or proper play of this Contest. In the event there is an alleged or actual ambiguity, discrepancy or inconsistency between disclosures or other statements contained in any Contest-related materials and these Terms (including any alleged discrepancy or inconsistency within these Terms), it will be resolved by Sponsor in its sole discretion. Entrants waive any right to claim ambiguity in the Contest or these Terms. If Sponsor determines (at any time and in its sole discretion) that any winner or potential winner is disqualified, ineligible, in violation of these Terms, or engaging in behavior that Sponsor deems obnoxious, inappropriate, threatening, illegal or that is intended to annoy, abuse, or harass any other person or entity, Sponsor reserves the right to disqualify such winner or potential winner, even if the disqualified winner or potential winner may have been notified or displayed or announced anywhere. Sponsor’s failure to or decision not to enforce any provision in these Terms will not constitute a waiver of that or any other provision. The invalidity or unenforceability of any provision of these Terms will not affect the validity or enforceability of any other provision. In the event that any provision is determined to be invalid or otherwise unenforceable or illegal, these Terms will otherwise remain in effect and will be construed in accordance with their terms as if the invalid or illegal provision were not contained herein. If the Contest is not capable of running as planned for any reason, Sponsor reserves the right, in its sole discretion, to cancel, modify or suspend the Contest and award the prizes based on eligible Entries received prior to cancellation, modification, or suspension, if any, or as otherwise deemed fair and appropriate by Sponsor. If any person supplies false information, participates or submits Entries by fraudulent means, or is otherwise determined to be in violation of these Terms in an attempt to obtain a prize, Sponsor may disqualify that person (and any Entrant on the behalf of which such person participated in the Contest) and seek damages from him or her and that person may be prosecuted to the full extent of the law. If any dispute regarding an Entry cannot be resolved to Sponsor’s satisfaction, such Entry will be deemed ineligible. CAUTION: ANY ATTEMPT TO DAMAGE ANY ONLINE SERVICE OR WEBSITE OR UNDERMINE THE LEGITIMATE OPERATION OF THE CONTEST VIOLATES CRIMINAL AND CIVIL LAWS. IF SUCH AN ATTEMPT IS MADE, SPONSOR MAY DISQUALIFY ANY PARTICIPANT MAKING SUCH ATTEMPT AND MAY SEEK DAMAGES TO THE FULLEST EXTENT PERMITTED BY LAW. DISPUTES/GOVERNING LAW: Except where prohibited by law, any and all disputes, claims, and causes of action between a participant and any Released Party arising out of or connected with this Contest, the determination of any winner, or any prize awarded must be resolved individually, without resort to any form of class action. Further, in any such dispute, under no circumstances will a participant be permitted or entitled to obtain awards for, and hereby waives all rights to claim punitive, incidental or consequential damages, or any other damages, including attorneys’ fees, other than the participant’s actual out-of-pocket expenses (if any), not to exceed ten dollars ($10 USD), and each participant further waives all rights to have damages multiplied or increased. This Contest and any dispute arising under or related thereto (whether for breach of contract, tortious conduct, or otherwise) will be governed by the internal laws of the State of California, USA, without 13 giving effect to its conflicts of law or choice of law principles or rules that would cause the application of the laws of any jurisdiction. Any legal actions, suits or proceedings related to this Contest (whether for breach of contract, tortious conduct, or otherwise) will be brought exclusively in the state or federal courts located in or having jurisdiction over San Mateo County, California, US, and each entrant accepts and submits to the personal jurisdiction of those courts with respect to any legal actions, suits or proceedings arising out of or related to this Contest. RULES/WHO WON? : A copy of these Terms is available by sending an email with the subject line “Bots for Messenger Developer Challenge – Terms” to [email protected] During the Contest Period, the Terms will also be available by visiting https://messengerchallenge.splashthat.com. Information about who won is available by sending an email with the subject line “Bots for Messenger Developer Challenge – Who Won?” to [email protected] Rules requests must be received no later than the end of the Contest Period. Requests for winner information must be received no later than three (3) months after the end of the Contest Period.